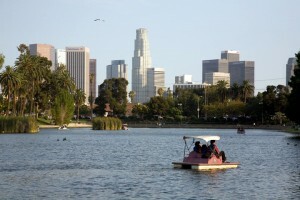 Echo Park is a densely populated neighborhood of 43,000+ residents in Central Los Angeles. It contains one high school and eight other schools, and has been home to many notable people. The neighborhood is centered on the lake of the same name.